0 item(s) in your basket. 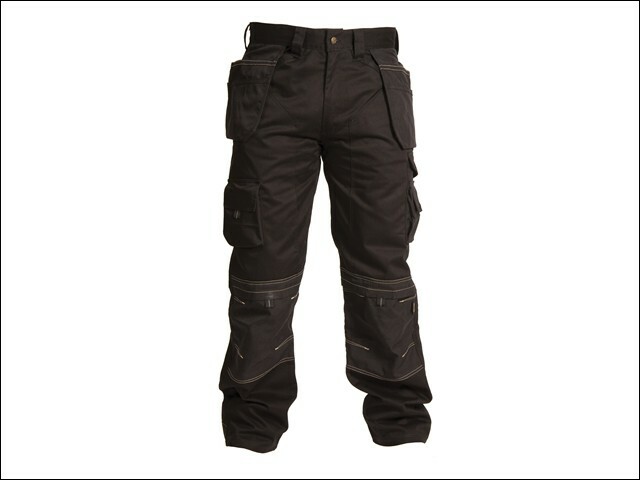 The Apache Holster Trousers are a good, all-round, functional work trouser. They have been triple stitched in key areas and have a low rise comfort waist design. With Cordura® holster and knee pad pockets, they also have a Cordura® reinforced hem and reflective piping. Other features include: a side cargo pocket, large phone pocket, tunnel belt loop and YKK zip. Available in 3 leg lengths 29, 31 and 33 inch for optimal comfort, waist sizes 30 to 42 inch.